Consider taking your Continuing Education with CECA to support YOUR industry. – CECA is a Nonprofit Trade Association that supports your Electrical Industry in many ways, offering continuing education, supporting Apprentice Events, having a member on the NC Electrical Licensing Board, having a lobbyist in Raleigh to monitor and influence what the legislature does that affects the electrical industry, the construction industry and small businesses and we are somewhere you can turn with questions and assistance in the electrical industry. CECA has been supporting the Electrical Industry since 1946. For NC Licensees, effective July 1, 2008, one-half of continuing education requirements must be obtained by an in-person classroom or seminar setting. The other half of continuing education hours may be obtained by other means, such as online testing, mail order tests, etc. Licensees may carry forward continuing education credit hours for use in two future license periods. If you need 8 hours of continuing education per year, we suggest that you take 2 of our online or mail order tests (4 hours each) along with an 8 hour class for a total of 16 credit hours that will cover 2 years of continuing education requirements. 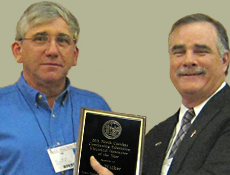 CECA is very pleased that our Continuing Education Instructor, Tim Walker, was named 2011 Instructor of the Year by the NC Electrical Board. The presentation was made at the 2012 NC Electrical Institute in Raleigh NC. Tim Walker is a 30 year veteran of the North Carolina Charlotte-Mecklenburg County Inspection Department. He has worked in Charlotte’s city high-rise section most of that time. Tim and his wife Mary enjoy traveling since his retirement. They are now taking care of their wonderful new grandson (Bradley) and have slowed down just a bit. Tim was also a Naval Reservist for 25 years; a Huey air crewman, a crew chief, door gunner and SAR wet crewman (Retired). The squadron was HAL-4 the REDWOLFS. Tim has taught classes at CPCC (Central Piedmont Community College) since 1981. He also taught classes for homeowners on how to wire their own homes. This class was also used for ‘green’ electrical helpers. He has also taught second and fourth-year apprenticeship classes and code seminars for electricians taking their state exams. He has been certified by North Carolina Department of Insurance to teach classes for Electrical Inspectors and by North Carolina State Electrical Board to instruct continuing education for state contractors. We are proud to have Tim as an instructor for our continuing education classes. CECA Continuing Education Classes are approved in NC, Ohio, Virginia and Alabama and accepted by letter in Georgia. Running short of time? 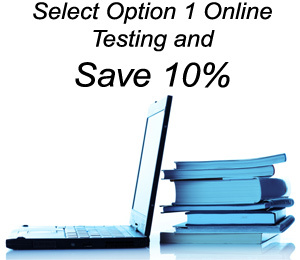 Save 10 days & 10% on CECA’s convenient On-line Testing Site! CECA has represented the interest of the electrical contractor in the Carolinas since 1946. When you take a test or class through CECA, you are supporting a non-profit 401(c)(6) association that supports the electrical industry in North Carolina. CECA does many things to further the electrical industry in NC, including having a lobbyist to watch and lobby on legislation in Raleigh that can and will affect you and your business. CECA also supports industry functions and apprentice functions to ensure that NC has a well-trained workforce for the future. Please help us in our continued support of the Carolinas Electrical Industry by taking your continuing education with us. Carolinas Electrical Contractors Association, Inc. is pleased to offer to you the Code Course for your continuous education requirements at the low price of $40.00 per four hours. (All NC tests are 50 multiple choice questions and Virginia tests are 25 multiple choice questions) CECA members pay only $30.00. Convenient online testing from your computer and pay and print version from your computer are both available. Virginia no longer accepts the online version of the test. If you need Virginia credit, please contact our office for a paper test that will be accepted by Virginia. Our online test is accepted for credit in NC and Alabama. Electrical Exam Prep classes are taught by our instructor, Tim Walker. Tim holds class every spring (starting in February) and Fall. Tim is a retired Mecklenburg County Inspector and Continuing Education Instructor. Classes are held in the evening at Mayer Electric Supply at 4201 Taggart Creek Road in Charlotte. Edwin Alfafo assists with Spanish Translation. Contact Tim or Edwin for more information. TIM WALKER 704-451-7785 https://walkerei.com/ EDWIN ALRAFO 704-719-0924.